The year was 1995 when a little-known director, whose first movie Alien 3(1992) was derided in tinsel town, helmed an unconventional and gritty thriller about two detectives chasing down a serial killer hit the screens. 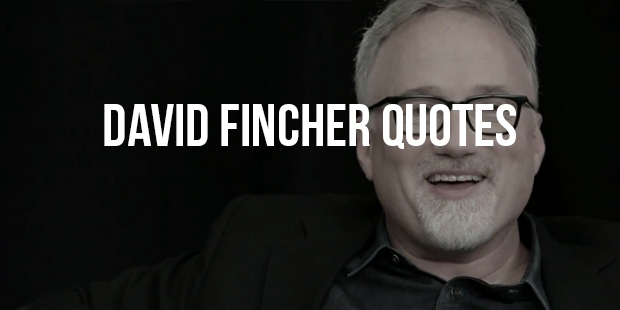 This was the beginning of the glittering career of David Fincher, a maverick of a movie maker whose meticulous process of film making earned him a genius's status in Hollywood. 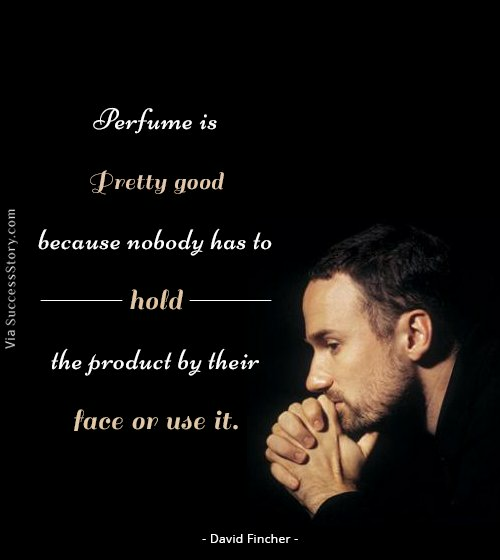 "Perfume is pretty good because nobody has to hold the product by their face or use it." 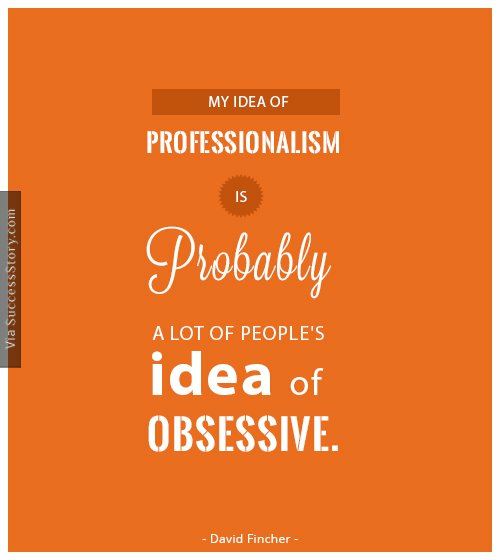 "My idea of professionalism is probably a lot of people's idea of obsessive." 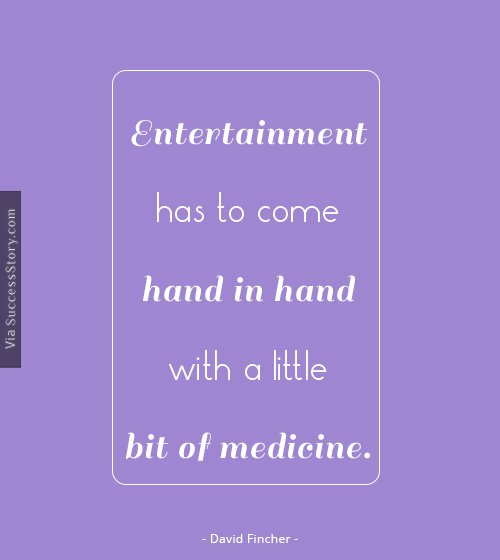 Entertainment has to come hand in hand with a little bit of medicine." 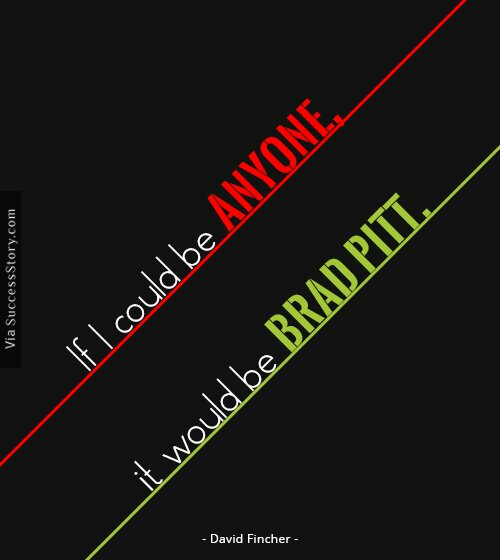 "If I could be anyone, it would be Brad Pitt." As fate would have it, he landed his first major job in Lucas's Industrial Light and Magic. During the four years spent in ILM, Finch became a part of movies like Return of the Jedi (1983) and Indiana Jones and the Temple of Doom (1984). He moved on to directing commercials and music videos and made videos for top artists such as Madonna, George Michael and Michael Jackson. Fincher continued his run of success with The Social Network (2010). The biopic of Facebook and its creator earned Fincher his second Academy Award nomination for Best director. The movie earned several Oscar nominations and won in the genre of Best Original Score, Best Adapted Screenplay and Best editing. The success of The Social Network was followed by Fincher's return to his home turf. The Girl with the Dragon Tattoo (2011) was a thriller marked with several trademark styles of David FincherFincher's story is a standing example of hard worker and grit. It is not the numbers he made at the box-office or the critical acclaim that he got. Key Success is about unwavering determination in the face of trouble and conviction in one's own sense of style and innovation.